Spend more time in nature’s magnificence. I work outside. As I type away at my laptop I’m surrounded by flowers and palm trees. In addition, the ocean is about 30 meters away from my work area. Sometimes I’ll get bitten by mosquitoes; or a couple of bees will decide that harassing me is their mission for the day; or a bird will poop on me (this last one happens more often than you’d think). However, for the most part, I love being outside. I can hear the birds chirping; as I look out toward the ocean I can see the sun reflected on the water’s surface; at times there’s a gentle breeze blowing; and, every so often, a turquoise hummingbird whizzes by. Fortunately for me, it turns out that being outdoors and spending time in nature is good for you. 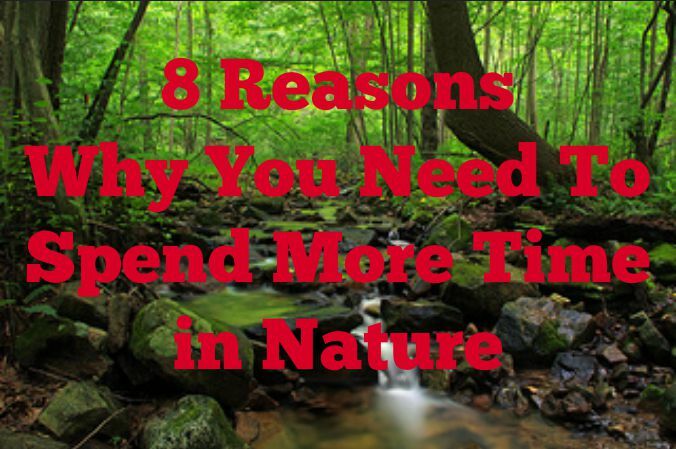 Below you’ll discover 8 reasons why you, too, should spend more time in nature. 1. Vegetation-Rich Nature Improves Your Vitality. In the book “Your Brain On Nature: The Science of Nature’s Influence on Your Health, Happiness and Vitality”, Eva M. Selhub, MD and Alan C. Logan, ND explain that scientific studies show that natural environments can have remarkable benefits for human health. Among these benefits, Selhub and Logan explain that studies show that spending just 20 minutes in vegetation-rich nature improves vitality. They define vitality as emotional strength in the face of internal and external oppositions, and living life with enthusiasm. So, if you want to be more resilient and have more zest in your life, go outside. 2. If You Live Near Green Space You’re Less Likely to Be Depressed. A 2009 study published in the Journal of Epidemiology and Community Health found that people who lived within 1 kilometer of a park or a wooded area experienced less anxiety and depression than those who lived farther away from green space. This means that city planners can potentially use green space as a way to improve overall mental wellness. In addition, if you’re feeling depressed, you should consider moving closer to nature. 3. Exposure to Plants and Parks Boosts Immunity. In a series of studies, scientists found that when people spend time in natural surroundings — forests, parks and other places with plenty of trees — they experience increased immune function. One reason for this is phytoncides, the airborne chemicals that plants emit to protect themselves from rotting and from insects, and which also seem to benefit humans. On day one, Group 1 was instructed to walk through a forest or wooded area for a few hours. Group 2 was instructed to walk through a city area. On the second day the two groups switched places. The researches found that being among plants produced lower concentrations of cortisol (a stress hormone), lower pulse rate, and lower blood pressure. 4. Sunlight is Beneficial. When sunlight hits the skin, it begins a process that leads to the creation and activation of vitamin D. Studies suggest that this vitamin helps to prevent osteoporosis and cancer. In addition, one study found an increased risk of heart attacks in those with low vitamin D levels. The amount of sunlight that you need depends on your skin tone. Light skinned individuals need about 10 minutes of sunlight a day, while darker skinned individuals may need from fifteen to twenty minutes of sunlight. They reported significant increases in their sense of well-being. Feelings of stress and negativity were reduced. They had less sleep disturbances. They felt more productive on the job. “Today, our modern world is filled with high-tech wonders. Our urban and suburban existence surrounds us with crowded, artificial environments of plastic, steel, concrete, and glass. Environmental toxins, high-stress lifestyles, devitalized food, loud noise, unnatural electromagnetic fields, and microwave radiation assail our cells and sensibilities. . . In addition, being in nature produces brain waves that are similar to those you experience while meditating. Researchers from Edinburgh’s Heriot-Watt University and the University of Edinburgh attached a portable EEG (a device that measures brain waves) to the scalps of 12 healthy young adults. Afterwards, the scientists analyzed the volunteer’s brain wave records. The analysis showed evidence of lower engagement and arousal, and higher meditation when the volunteers were moving into the “green zone,” and higher engagement when moving out of it. While the volunteers were in the “green zone” they were paying attention, but it was a type of attention that scientists refer to as involuntary or effortless. This effortless/involuntary attention allows us to reflect, and it refreshes the brain from the hyper-vigilance and arousal that’s required in offices and city streets. 7. Being in Nature Inspires Creativity. A study done in 2012 revealed that a group of backpackers were 50% more creative after they had spent four days on a hiking trail. Furthermore, the study shows that creativity peaks after about three days of really getting away from it all and immersing yourself in nature. A standard creativity test was given to four groups of backpackers–totaling 60 people–before they went on hikes. The same test was given to a second group of 60 backpackers; however, this second group took the test four days into their hikes. The second group–those who had already been hiking for four days when they took the test–scored 50% higher than the first group. The lead researcher in the study–Ruth Ann Atchley–explains that the constant distractions and stimulation of modern life are a threat, and they sap our resources. When we’re in nature our minds can drop down those threat responses, which leaves us with leftover resources which we can apply to being more creative. 8. Taking a Break in Nature Improves Memory and Cognitive Function. Taking in the sights and sounds of nature is beneficial for our brains. Research done by Doctor Marc Berman and partners at the University of Michigan shows that performance on memory and attention tests improved by 20% after study subjects took a pause for a walk through an arboretum. When they paused to take a walk down a busy street, no cognitive boost was detected. Make it a habit to spend more time in nature: exercise outside instead of going to the gym; have lunch outdoors; and spend as much of your weekends as you can out in nature. At the very least, get a plant for your office. Live your best life by spending more time in nature. Love this. I once had one of the worst colds of my life with so much congestion I could barely breathe. I had guests coming to town and promised them we would go to the Redwoods in Northern California. When we got there and walked amongst the gigantic trees, I could smell the chloryphyll. In about a half hour, all the congestion came out and I started perspiring. By the time, we got back to the city, I felt so much better. 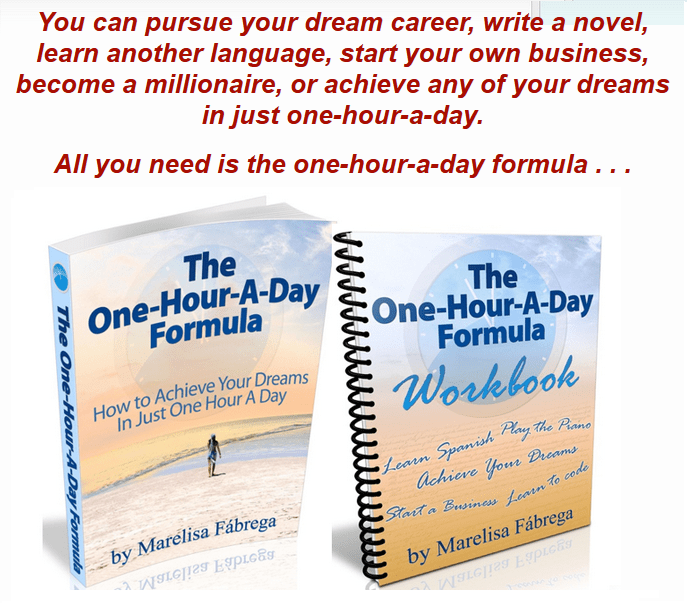 The next day I had more energy and could breathe without de-congestants. There is power in clean green air. I also find just sitting by a body of water is so relaxing and refreshing. Also, there is nothing like the silence of nature. Hi Sandy: That’s a great story! I’ve been to California, but I’ve never been to Redwood. I’ve heard it’s a must see. I think that one of the reasons why I almost never get sick is because I spend so much time outside. Nature really is the best medicine.